Thelwell Flooring were recently employed by Bentley Motors to refurbish various floor areas within the production and assembly lines at their factory in Crewe, Cheshire. It was essential that the work be carried out in the shut down period and be ready back for production and fully cured. We installed two coats of Flowcrete’s Flowcoat SF41 high strength, scratch resistant epoxy floor paint. We also installed new line markings, anti slip walkways, road markings and zebra crossings. 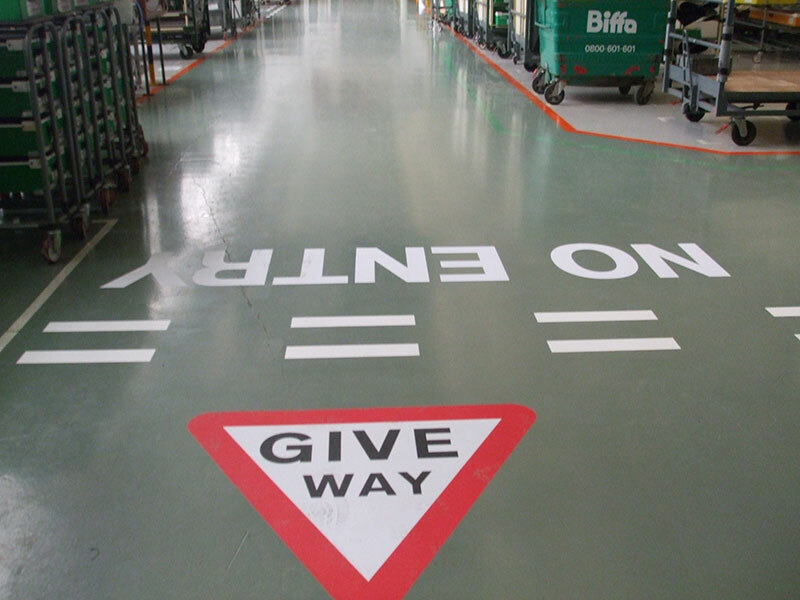 The Epoxy floor coating we installed is designed to meet the demand the nature of forklift and pallet truck use and provide and safe and bright environment for all pedestrians.